Imran Khan has taken great steps towards tourism in Pakistan and rightly so, the country has some of the most magnificent places. 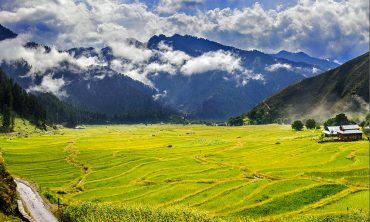 They are covered in beautiful green grass, cloud-kissing mountains, forts with histories, calm serene freshwater lakes, snow-covered tops during winters and inland waterways. Nothing short of heaven, I must say. One such place, that leaves everyone in a state of disbelief and with deep overwhelming feelings because of the beauty of nature it possesses is Azad Kashmir. Azad Kashmir is every Pakistani’s go-to place for some recreational time and adventure. The captivating landscapes will keep you hypnotized for a long time. So long that your heart will not be ready to register a good-bye, ‘a farewell, until next time’. 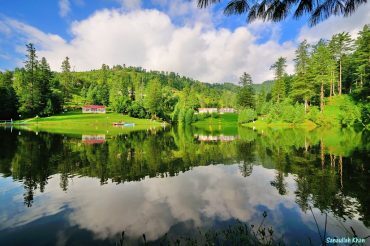 Azad Kashmir is famously known as the Paradise of Pakistan. Once your eyes lay on it, you will find the title do justice to the majestic place. This heaven on earth is well-known around the globe. And for the best reasons which include its breathtaking valleys, lakes, wildlife and the rich yet humble lifestyle of its locals. Even the residents of this heavenly place are very warm and welcoming. The ranging mountains, from low slopes to high mountains gives you the perfect opportunity to go trekking, mountaineering, shake climbing and camping. This isn’t just it, the amazing streams flowing abundantly in Azad Kashmir give way to different kinds of water sports- like rafting, kayaking, and canoeing. It is time to start your tour within Pakistan and discover what you have been missing out on for so long. Following are the top places to visit in Azad Kashmir. One can find this grand valley to the North and North East of Muzaffarabad, running parallel to the Kaghan Valley. This beautiful Valley has towering hills on both the sides of Neelum river. 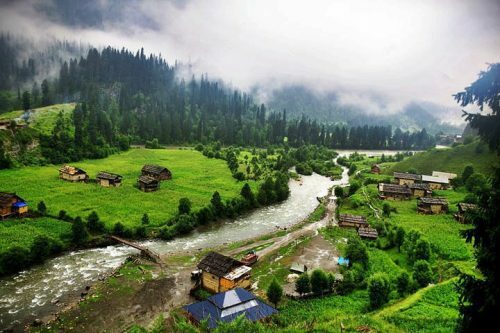 With lush green thick forests, streams that will enchant you and hills, mountain passes, trekking drags and rural areas make Neelum Valley, a place to behold. Some of its local fruits are also quite tasty, some of which have become favorites which include apples, apricots, walnuts, and plums. 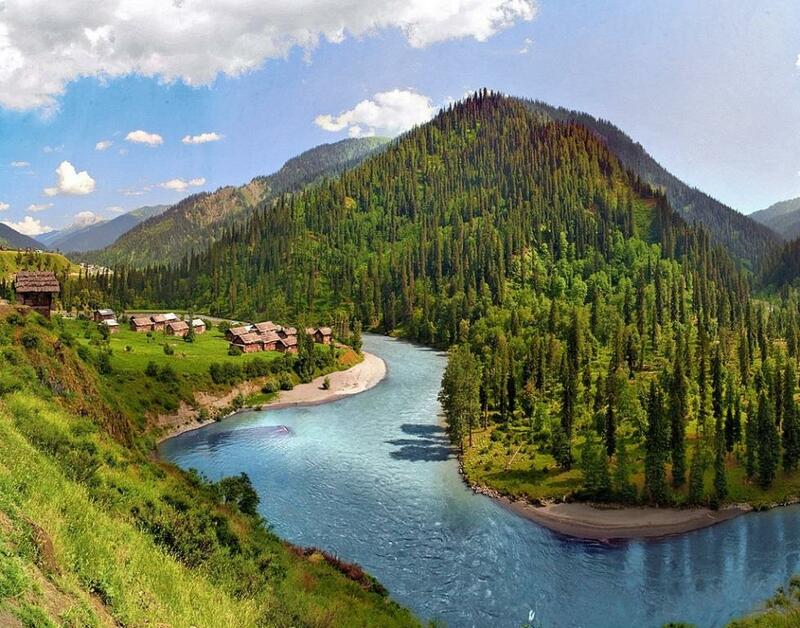 It is the most recommended tourist destination of the province and one cannot simply overlook Neelum Valley. If you are wondering how lush green a place can get, then Banjosa Lake is your reference. Greenery is what it is famous for with a tad bit of contouring by red. It truly is a remarkable place to visit. With a prominent lake before you, you will find it covered with tall trees, stretching far and wide across the region. When the Autumn season approaches, this same color of green turns into beautiful shades of gold, brown and ruddy. We would advise you to visit around the summer because of the welcoming weather since the temperature rarely exceeds 25°C. The summers, as warm as they get here in Banjosa Lake, the winters are as cooler and snow envelops the place. 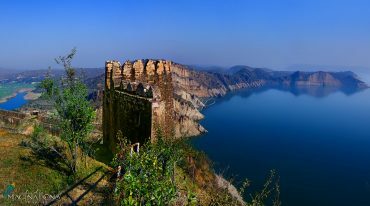 Ramkot Fort is an ancient fort in Azak Kashmir, sitting beside Mangla Dam. Not much of a fort anymore, this place is 30 Km away from Dina and you can reach there by boat and by road from Mirpur to Dadiyal Town. Most of the fort rest in ruins, but definitely hinting towards its rich history and grandeur. Its design that remains speaks great volume of its history, where the gateways are seen to be strategically made to accommodate firing sits in every direction. It is said the Ramkot Fort was built over an old Hindu Shiva temple, but if you observe its current structure it appears to be constructed in the 16th century. This is just tip of a large scale history that this fort has left behind and is definitely for the adventures souls to visit. Blown away by what you see? We have our very own version of Switzerland, in fact, better since it is Pakistan. 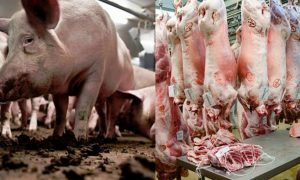 You’d have to rub those eyes to make yourself believe that we have such supremacy of nature existing within the very place we call our home. Closer to Muzaffarabad, this zone consists of high mountains and tall trees. This out of the world valley is known for its rather modern farms, using the latest advanced methods at their disposal. This valley sits well-formed, is quiet and peaceful. Long magnificent pine trees cover the slopes of the valley, giving us a spectacular view. This picturesque lake is situated in Shounter Valley, which is a sub valley of Neelum Valley. Snow-covered mountains surround the lake, which becomes the source of water in the Shounter lake when these glaciers melt. The route to Sounter Lake isn’t hard or tricky. What you need to do is to hop on a jeep from Kel, Neelum Valley and you will arrive at this spectacular place. 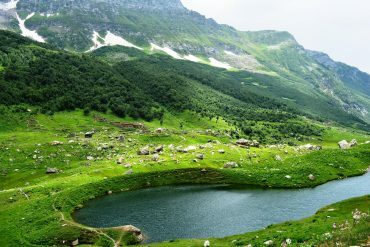 The Shounter lake itself might be little, but the surrounding geology combined places this Shounter lake at the top of the list of tourists when they visit Azad Kashmir. It is an agricultural area in Mirpur District of Azad Jammu and Kashmir. It is famous for the housing of Sufi saints Mian Muhammad Bakhsh and Peer-e-Shah Ghazi. 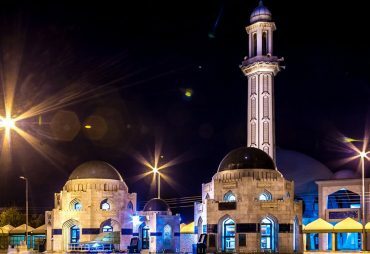 Khari comprises of nearly eighty little towns out of which one goes by the name Khari Sharif. The town places heavy importance on the shrine of Mian Muhammad Bakhsh; A well known and respected saint who has written a remarkable story on Saiful Malook. The tale you find in the book is about a prince that goes by the name”Shehzada Saiful Malook. He becomes captivated, rather hopelessly with a fairy he saw in his dreams. “Badi-U-Jamal” is the name she went by with and the quest of finding her leads to his spiritual journey. The alpine glaciers melt and help the lake to form, melting from an altitude of 12,130 ft. approximately. The views that await you upon your arrival are nothing short of a pleasant surprise; rich greenery, ice sheaths, huge mountains, and clear blue lake make Ratti Gali one of a kind experience. This experience is the best for the adventurous souls since it involves long trekking to reach this destination. The trek becomes tiresome but it is worth it in the end. As you trek, you get to experience some gorgeous scenes on your way to Ratti Gali Lake. The nature that is blissfully blossoming around Ratti Gali Lake is full of life. It is home to some of the most beautiful birds of different kinds and otters. Much of Sharda Fort is no more because of the construction of Mangla Dam. The remains still stand gloriously showing signs of a time long gone. 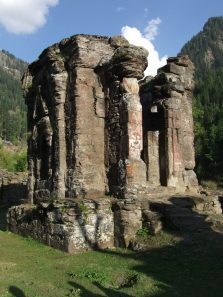 In the sixteenth century AD, Muslim leaders of Kashmir decided to establish various forts. These forts served the purpose to secure the land. It will take you approximately twenty minutes on a speedboat to reach the land where the fort stands.